As far as kitchen sink materials go, nothing beats the popularity enjoyed by stainless steel. Copper, granite or ceramic sinks are not as popular among homeowners, and the answer to this question can be found in the sort of properties stainless steel kitchen sinks offer. On the other hand, undermount sinks are also growing in popularity. In this niche as well, stainless steel is still the choice material for many people. In other words, stainless steel undermount sinks are very popular. And so, the question becomes, what is it about stainless steel undermount kitchen sinks that buyers seem to love so much? Here is a look. Stainless steel is one of the easiest materials to clean. But when the sink is an undermount model, this benefit is even more enhanced since you do not have to deal with any dirt stuck between the sink rim and the countertop. With the undermount installation, the lack of an exposed sink rim means that there is no such dirt to deal with. A common concern among homeowners is that undermount sinks can detach easily when they are filled with heavy utensils or water. This is not the case. The sinks are installed in ways that ensure they can handle as much weight as regular sinks. An even greater advantage is that when made of stainless steel, the sinks are light in weight and yet very sturdy, which means they can handle weight better. Few undermount kitchen sink materials are as easy to maintain as stainless steel. This is why the best undermount kitchen sinks for that matter, is oftentimes a stainless steel model. Unlike materials like ceramic and granite, which can crack and have crevices, steel remains relatively clean and resilient throughout its useful life. Stainless steel is very strong. In addition to having the ability to withstand considerable amounts of brute force, it can also resist corrosion very well. Additionally, this material is very durable, which means the sink will provide a good life of service. One of the benefits of having an undermount sink is that it is more visually appealing. The fact that stainless steel is an excellent material for sink construction due to its appearance compounds this benefit. Many contemporary homes work brilliantly with stainless steel sinks. In fact, stainless steel undermount sinks can work out best for any kitchen decor. This is also because they can match many modern appliances. Installing an undermount sink is a little more demanding than installing a regular kitchen sink. But fortunately, installing a stainless steel kitchen sink is much easier in comparison to other kinds of sink materials. Therefore, having a stainless steel undermount sink offers better benefits with regard to installation. For one thing, this material is not as fragile as ceramic or porcelain, and its light weight makes it easier to handle during the installation process. The best thing about this kind of sink is that it can be bought by people of all budget levels. Stainless steel sinks have more friendly prices in general. And since buying an undermount kitchen sink usually means spending a little bit more, getting a stainless steel version makes these premium sinks more affordable. Stainless steel is highly recyclable, unlike some other sink construction materials. For this reason, stainless steel sinks are much better for the environment. 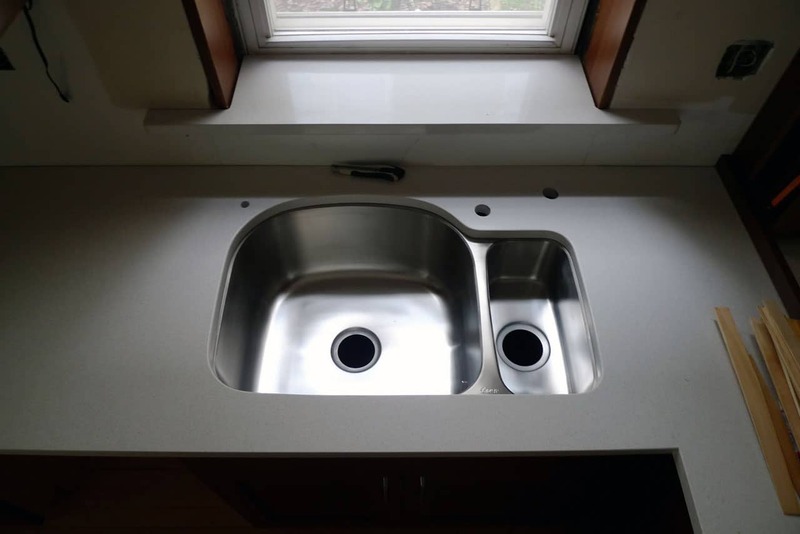 So, if you are concerned about the impact your kitchen sink or other house installations have on the environment, getting a stainless steel kitchen sink is the way to go. If you are shopping for an undermount kitchen sink, you might as well get a stainless steel version. These sinks offer great aesthetic appeal, and they are more affordable. Other benefits include the fact that they are easy to maintain, strong, durable, and can help you save time on cleaning.